Through out these two acts, there has not been a lot of drama because there has been a lot of respect shown. I hope that nothing I have said or written has shown any disrespect because nothing but respect has been shown to me. Even the Melbourne Leader had to try to dramatise events using the words “back down” as if there was some primitive dominance struggle. Life don’t need to be a soap opera when no-one is watching. The residents of the lanes and the street artists, Fletch of Invurt especially, have been working hard, liasing with all the stakeholders, going to meetings, writing emails and trying to create a neighbourhood based on respect in these laneways. Everyone has acted reasonably and rationally. I am pleasantly surprised, almost shocked, at how reasonably and rational the process has been. The most telling example of this is that the city engineer, Gordon Harrison recommended to the council not to proceed with the installation of CCTV cameras. Andy Mac’s cowboy hat will be filled by a committee of residents and artists. There is need for a contact person for the art in the lane and it is hoped/expected that person will be Adrian Doyle, who has an interest in the quality of the art from Pia and his street art tour business. If anyone can keep his finger on the pulse of the lane then Doyle can. It would be good to have a committee, of residents and artists, to back up this position so that the same situation following Andy Mac’s egress doesn’t develop again. There is such a sense of community about these lanes. Creating an inner neighbourhood is hard in Melbourne and Hosier Lane is not easy, you have to admire the effort that people are putting in here. For more information about Hosier Lane and to take part in online discussions about the future of the area (for anyone who works, lives or plays in the lanes) see Hosier Rutledge Neighbourhood Online. 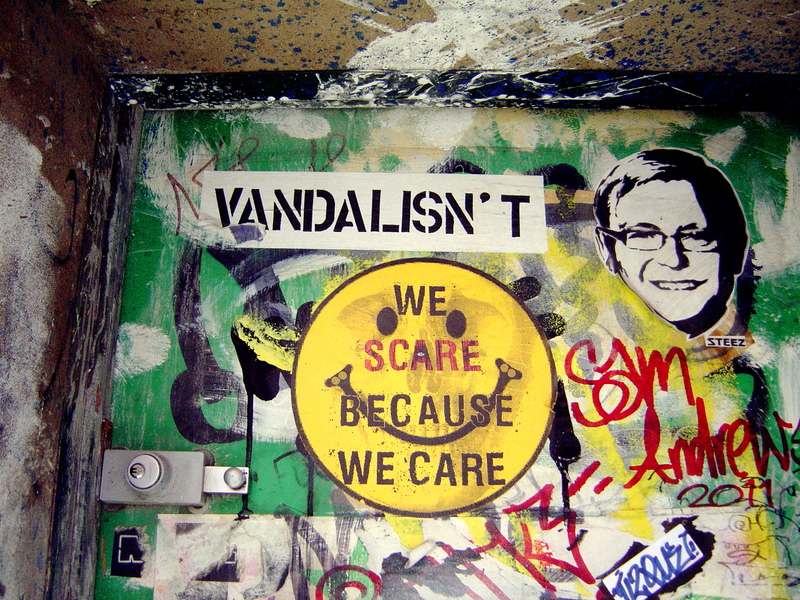 Hosier Lane stands in contrast to what happened with Centre Place. Six years ago I used to enjoy going there now I can hardly look at Centre Place anymore. It has been going down hill for years. Now it is just a mess and it is getting worse, there is no respect shown for any of the art. Now that the CCTV or not CCTV has been resolved we can get back to enjoying the art in those great laneways – respects to all everyone using the laneways. 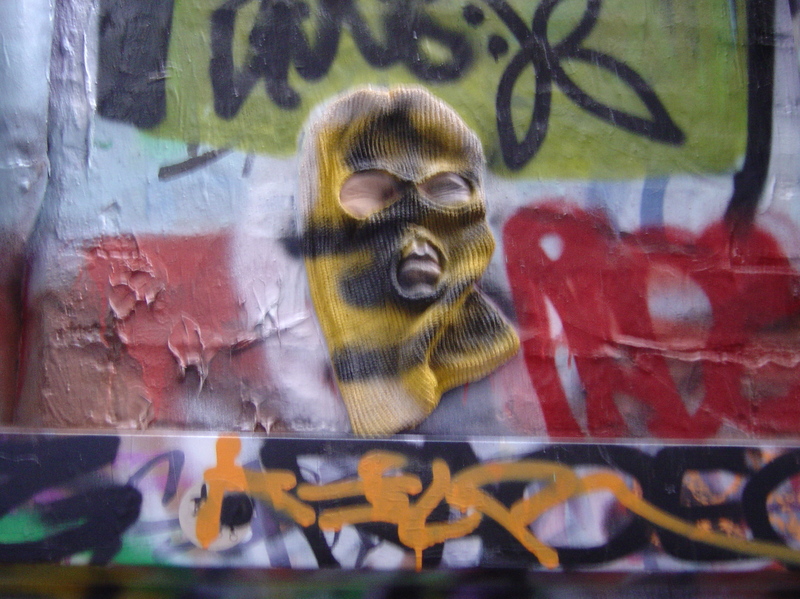 This entry was posted on Wednesday, September 26th, 2012 at 11:36 PM	and tagged with Adrian Doyle, Andy Mac, CCTV cameras, Ears, Hosier Lane, Melbourne, Melbourne City Council, Shida, Will Coles and posted in Street Art. You can follow any responses to this entry through the RSS 2.0 feed. « Is there art without politics? 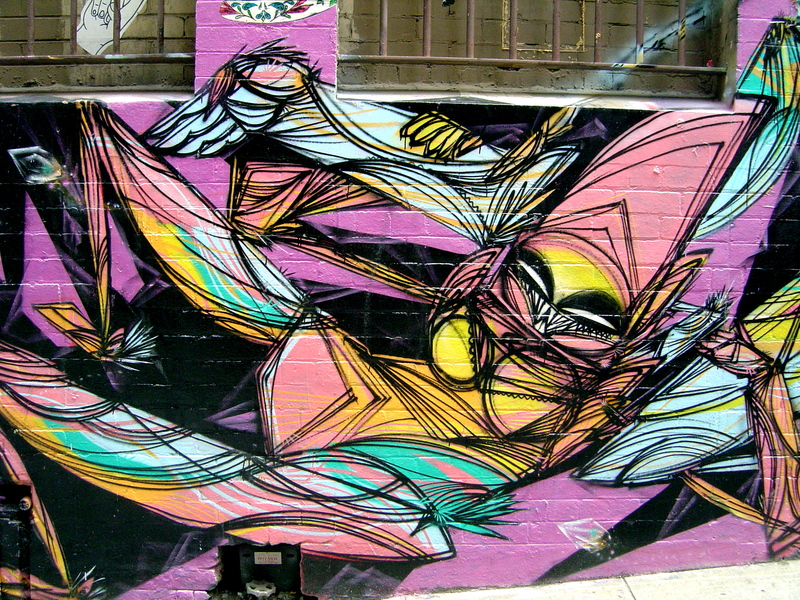 Thanks John – I’ve taken the photo down since it was both incorrectly attributed and not in Hosier/Rutledge Lane.